Do you need a professional concessionaire for your special event? 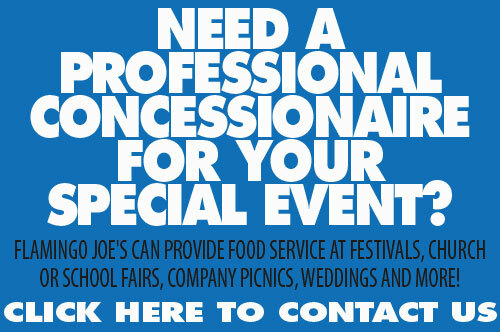 Flamingo Joe's can provide food service at festivals, church or school fairs, company picnics, weddings and more! Please fill out the info below and we'll get back to you as soon as we can. Thank you.